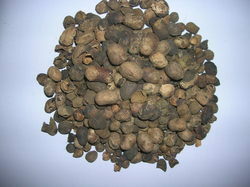 We offer premier quality Jamun Seeds for our clients, which are used to prevent and cure diabetes. These seeds comprises glycoside, jamboline and ellagic acid, which is an essential combination for preventing conversion of starch into sugar in case glucose is present in excess. The seeds reduce urine sugar levels significantly and offer rapid action against diarrhea. Description Jamun seeds contain a glycoside, named Jamboline which helps in the maintenance of glucose levels. It supports the liver system and the digestive system. Other Names: Jambul seed, Eugenia Jambolana, Syzygium Cumini, Java Plum, Syzygium Jambolana. - We are offering premium quality of Dehydrated Black Jamun Seed Powder, which is hygienically manufactured at Advanced Room Temperature Dehydration Technology. - It is known by several local names such as Jamun, Java plum, Black plum and Indian black berry. 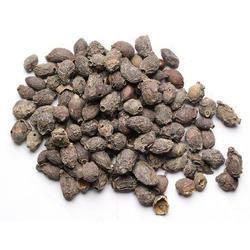 We are offering organic jamun seed, common name: jambas, jamun, jambolan, rajaman, kala jamun, neredu, naval, nerale, jamali, java plum, black plum and black berry. Due to our dedicated team, we have been proficient to proffer an extensive series of Jamun Seed. The seed of the fruit is used in various alternative healing systems likeAyurveda(to controldiabetes, UnaniandChinese medicinefor digestive ailments. We are offering Jamun Seeds. Eugenia jambolana beneficial for cholesterol reduction, blood sugar management, stomach aid ... The seeds are utilized to make herbal teas to use by diabetics. Owing to the years of industrial experience, we have been able to serve our valued clients with a wide range of Jamun Seeds.